The Springfield Cardinals of the Double-A Texas League may not have reached the playoffs like their three St. Louis Cardinals full-season minor league peers, but certainly had a terrific season considering a young team adapting to an advanced league and plenty of roster influx in the process. Despite not making the postseason for the first time since 2015, the S-Cards accomplished perhaps their best season in franchise history in both the overall and second half record departments, tying the previous marks of 77 and 42 wins, respectively. Both were set in 2012 when the Cardinals went 77-61 overall and 42-26 in the second half en route to their first and only Texas League title in team history. “No matter what, we had an outstanding year,” Springfield manager Johnny Rodriguez said. “Everybody gave everything they had for me. We had a tremendous record. Fought every day. We had our ups and downs. Second half we had more ups than downs. Through all the injuries and player movement, Rodriguez said quite often the club was in search of their “landscape.” The S-Cards eventually discovered it with energy players like Darren Seferina, Randy Arozarena, Oscar Mercado, Magneuris Sierra, Andrew Knizner and Tommy Edman. “The new guys who were brought in, brought a lot of energy, desire, and passion,” Rodriguez said. “We had some really good starters. Our bullpen (got) better. We were more athletic with more urgency players. It resonated, and in other words, it spilled out. 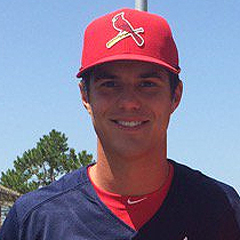 Arguably the greatest achievement of the S-Cards season came courtesy of Dakota Hudson, who became the first Springfield hurler to win the Texas League Pitcher of the Year award. Hudson owned the top ERA in the league – 2.53 – with a 9-4 record over 18 starts. The righty struck out 77 and issued 34 walks in 114 innings before a promotion to Memphis on July 29. Lead-off man Oscar Mercado burst onto the scene in the Texas League, getting on base in each of the first 24 games to start the season. Mercado also reached uncharted territory in Springfield record books, setting a franchise best 19-game hitting streak on May 4. The Cardinals posted their best second half and overall record since 2012, matching the number of wins of their only championship team. 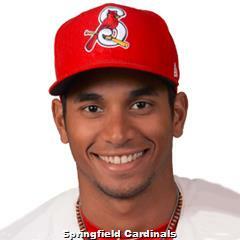 Five Cardinals were named to the Texas League All-Star Game in June, including outfielder Oscar Mercado, shortstop Alex Mejia, and pitchers Jack Flaherty, Dakota Hudson, and Matt Pearce. With Mejia and Flaherty at Memphis at the time, outfielder Anthony Garcia and righty Corey Baker replaced them on the North Division roster. Among the S-Cards Postseason All-Stars were Hudson, Flaherty, Pearce, and Garcia. The exclusive Postseason All-Star Team is made up of the league’s top players from both divisions, consisting of only eight spots for position players and six for pitchers. 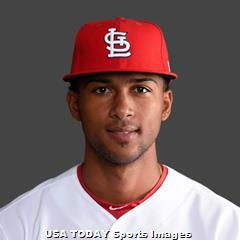 Springfield produced four big-leaguers – Sandy Alcantara, Flaherty, Mejia, and Magneuris Sierra – who each contributed at the Double-A level in 2017 and made their MLB debuts for St. Louis in the same season. Johnny Rodriguez, who entered 2017 in his first season as a skipper above A-ball for the first time, was named the Texas League Best Manager Prospect in Baseball America’s annual Best Tools Survey in July. Other notable tidbits: Adolis Garcia swiped home in a game at Arkansas on May 14. Magneuris Sierra’s only home run of the season came via an inside-the-parker on June 14. Although aided by errors, Randy Arozarena reached third on an ordinary infield popup on July 6, a miraculous play to say the least. Pitching coach Jason Simontacchi was also named the Mike Coolbaugh Memorial Texas League Coach of the Year. Hammons Field claimed its seventh straight Field of the Year award and ninth time overall in the TL. The Texas League is a full-season league made up of a 140-game regular season, which began April 6 and concluded on September 4. The eight-team league is divided into two divisions with the Cardinals Double-A club placed in the North. Unlike other leagues in the minors, Texas League intra-division foes play each other up to 32 times during a season – 16 at home, 16 on the road. On the other hand, inter-division teams match up 16 times – eight at home, eight on the road. Springfield opened the season with a 9-3 victory over Frisco (TEX) and ended the month of April with a 12-9 record as the club was led by strong starting pitching and a quick-twitch offense despite a floundering bullpen. 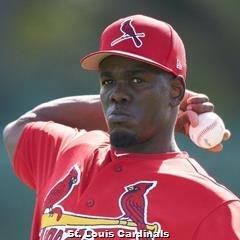 The S-Cards had a meager May, posting a 15-14 record as the pitching shouldered the load and the offense slowed. From June 1 and on, Springfield finished off the first half with an 8-12 record, falling out of first place on June 11 as they dropped the first half title to NW Arkansas. The Cardinals went 4-4 over their first eight games in the second half before a 20-10 July kept them tied for first place with Tulsa (LAD) in the North. Springfield boasted a 16-12 August, but that wasn’t enough going into September as the Drillers owned the second half tiebreaker and secured a playoff berth on September 2. Through the regular season, the Cardinals ranked third in league with a 3.62 ERA, a significant improvement over the pitching staff’s mark of 4.35 last year. Simontacchi’s staff also posted the most shutouts in the league (13) over 1229 2/3 innings pitched. Despite finishing with the fewest strikeouts (987) and the second-most free passes (445), the staff was able to minimize the number of hits with the second-lowest WHIP (1.32) in the league. “I am pleased with them,” Simontacchi said when asked to reflect on the season. “I think the guys – if you ask every single one of them – our job as an organization is to make sure they are better at the end of the year than they were at the beginning. I would agree we were capable of doing that with the plan that Tim (Leveque, Cardinals Minor League Pitching Coordinator) has set up for these guys. “Then, obviously, these guys sticking with it and trusting it. Maybe not all the time, but in the end. They have done a good job of staying focused and paying attention to what they bring to the table, keeping those sharp and getting the other things a little bit better. “With the experience, the game teaches you a lot in itself, let alone coaches or managers and organizations. The game will teach you a lot – if you keep your eyes and ears open. These guys have done a good job of absorbing,” the pitching coach concluded. Playing in a hitting-friendly park and league, hitting coach Jobel Jimenez’s offense slashed at an above-average league mark, posting a .264/.335/.399 in 4689 at-bats through 140 games. As an offense, they ranked third in batting average, on-base percentage, slugging, and OPS. Collectively, the S-Cards bashed 117 home runs (third-most) and scored 634 runs (third-most), averaging 4.53 runs per game with a run differential of +62. “The league is getting better, you know, the pitching performance,” Jimenez said of his offense. “The pitchers try to be more efficient and attack the hitters more to their weaknesses, which is tough but is good for us because it gives us a chance to be more selective and be more aggressive, especially with guys in scoring position. The speedy offense also paced the league with 120 stolen bases. “Watching this team is like watching a team from the 80’s,” one pro scout recently said. Fielding hasn’t exactly been the strongest suit for the S-Cards in recent years, but in 2017, under a defensive-minded manager like Rodriguez, things changed. The club’s fielding percentage improved from .975 in 2016 (ranked seventh) to .979 in 2017, ranking fourth in the Texas League. In fact, one of the backbones of the Cardinals’ outstanding July was defense, as they posted errorless performances in 21 of 30 games, including a 10-game errorless streak from July 13 to July 22. “Paying attention, be ready,” Rodriguez said when asked about his phenomenal defense. “They are ready for the ball to be hit at them. They are ready before the ball is pitched. The key to that is you want every ball that is pitched to be hit at you, so it doesn’t surprise you. 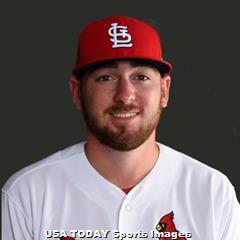 Springfield opened the year with a bevy of young, talented arms in their rotation that changed considerably as the starters pitched above the level of the league and passed it, earning promotions to Memphis. Those starters included Flaherty (June 1), Pearce (July 17), and eventually Hudson. Alcantara and lefty Austin Gomber remained with the team by season’s end. 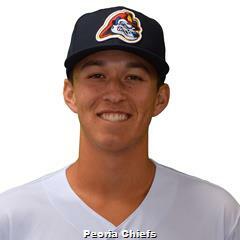 Although the former was moved to the bullpen in late August in preparation for a big-league cameo in September and to limit his innings for the Arizona Fall League. Among others promoted upward were Zac Gallen (June 3) and Ryan Helsley (July 31), both of whom have since progressed to the Memphis playoff rotation. Chris Ellis also joined the Springfield rotation from Memphis and contributed down the stretch. Pedro Echemendia was the multi-purpose reliever and filled some starts later on in the season as well. There was a solid foundation for Springfield’s offense in the early stages of 2017, starting in center field with Mercado, the electric right fielder Adolis Garcia, left fielder Nick Martini, and infielders Alex Mejia, Jacob Wilson, Eliezer Alvarez and Bruce Caldwell. Martini went to Memphis by May 5 before Mejia followed him after 63 games at Double-A. Garcia received a promotion on June 26. Alvarez missed a large amount of the season due to injury. As the S-Cards looked for a new core, there were some key additions along the way. 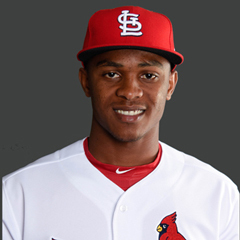 Those included top run producer Anthony Garcia (from Memphis in early April) and Magneuris Sierra (after his first stint in the big-leagues about mid-May). Catcher Andrew Knizner (jumped directly from low-A and seized Gabriel Lino’s role) and first baseman John Nogowski (filled in for injured Casey Grayson and excelled) were significant additions. Outfielder Randy Arozarena and infielders Tommy Edman and Darren Seferina, all up from Palm Beach, also helped spark the club’s second-half run. 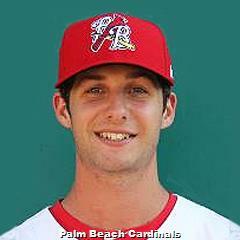 Among the end-of-season Springbirds ranked in the most recent monthly top 50 prospect list compiled by The Cardinal Nation are five pitchers and eight position players. They include Sierra (#6), Alcantara (#8), Gallen (#10), Jordan Hicks (#12), Adolis Garcia (#13), Helsley (#14), Arozarena (#15), Mercado (#17), Gomber (#18), Knizner (#19), Alvarez (#24 but since traded to the Phillies), Seferina (#27), and Edman (#35). The 2017 Springfield Cardinals were above-average in pitching, and a quick-twitch offense was enough to keep them in the playoff hunt in both the first and second halves despite a shaky bullpen. Link to master article with all 2017 award winners, team recaps and article schedules for the remainder of this series. Of course, that will include our selections as the Springfield Cardinals Reliever, Starting Pitcher and Player of the Year. Follow Derek Shore on Twitter @D_Shore23. © 2017 The Cardinal Nation, thecardinalnation.com. All rights reserved. This material may not be published, broadcast, rewritten or redistributed.